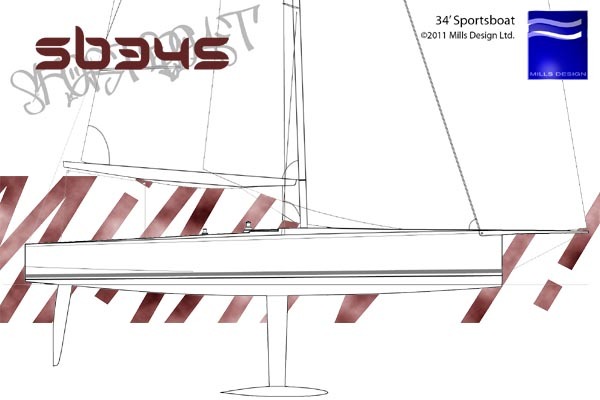 This 34′ Sportsboat proposal addresses the limitations of the current high performance sportsboat market. 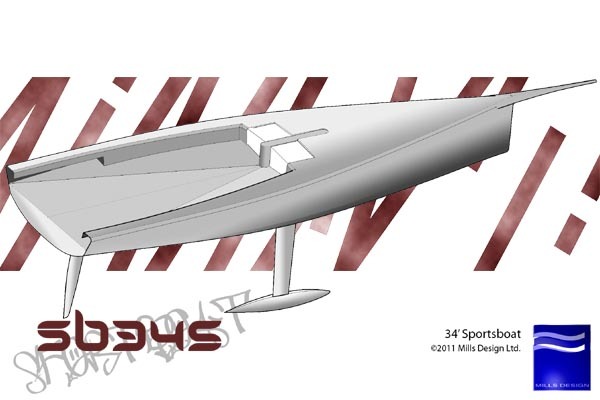 A light displacement chined buoyant hull design inspired by Open Class design provides added form stability, lacking in today’s sportsboats. This has the effect of reducing the high physical demands in medium and higher windspeeds, equalising crew skill levels across the fleet and producing breakaway downwind performance.